Traverse is a new, revolutionary coin matrix. 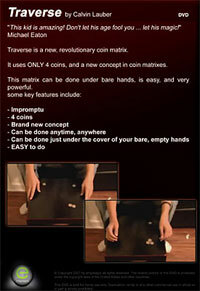 It uses only 4 coins, and a new concept in coin matrixes. This matrix can be done under bare hands, is easy, and very powerful.